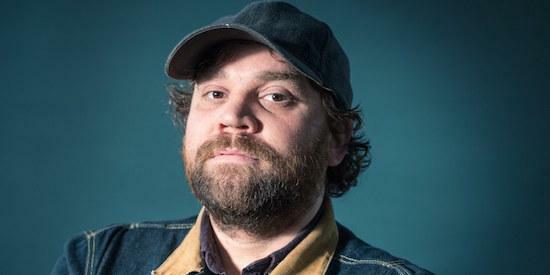 Scott Hutchison, the singer-songwriter of Scottish group Frightened Rabbit, has been reported missing by his family. As the BBC reports Hutchison, 36, was last seen at around 1am this morning at the Dakota Hotel in South Queensferry, and was believed to be heading for nearby Edinburgh. He has not been seen since and police are now appealing for information on his whereabouts. "We are keen to locate Scott as soon as possible to ensure he is safe and well and would urge anyone who can assist with our ongoing inquiries to come forward," said Inspector Graeme Dignan. "If you believe you have seen him since the early hours of Wednesday morning or know where he currently is, then please contact police immediately. I'd also urge Scott to get in touch with family, friends or with police, to let us know he is alright." The band have also appealed for information on his whereabouts via their Twitter page, writing: "We are worried about Scott, who has been missing for a little while now. He may be in a fragile state and may not be making the best decisions for himself right now." Anyone with information on his location is urged to get in touch with Scottish police on the 101 number. He was last seen wearing "a dark baseball cap, navy blue hooded jacket, grey or khaki trousers and white trainer", reports the BBC. Concerns have grown following a pair of tweets posted by Hutchison last night shortly before he was last seen, in which he wrote: "Be so good to everyone you love. It’s not a given. I’m so annoyed that it’s not. I didn’t live by that standard and it kills me. Please, hug your loved ones."